A 13th-century church stands on the site of an earlier building in use since at least the 11th century. The oldest parts of the current building are the walls and roof, both 13th century, though much of the remainder is of 15th century Perpendicular style. The whitewashed exterior is very simple, with a nave and chancel braced with brick buttresses, and a wooden bell turret at the west end. The windows and rood screen are 15th century. Unusually, the screen has been moved from the chancel entry to the west of the church. Despite these medieval underpinnings, the character of the interior is decidedly Georgian, due to an extensive rebuilding programme in 1703. 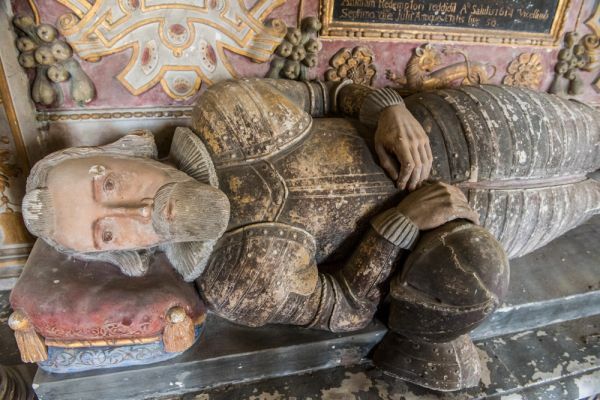 The most striking feature of the church is the 17th-century monument to Sir Richard Prowlett on the north wall. This grandiose memorial is enclosed within iron railings, and depicts a recumbent Sir Richard under a Corinthian pediment. The tomb chest is fancifully carved and painted, and shows small figures of the nobleman's two daughters. 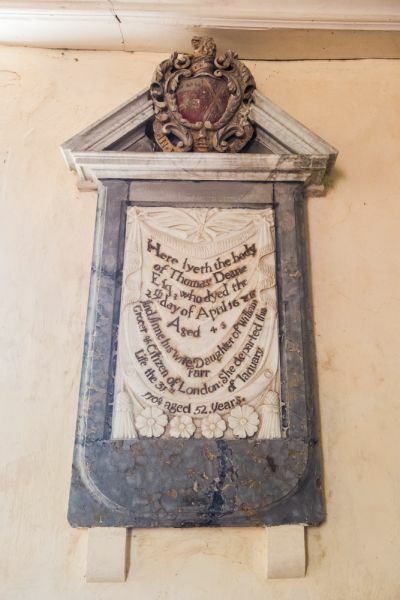 On the south wall is a memorial to Thomas Deane (d. 1686). 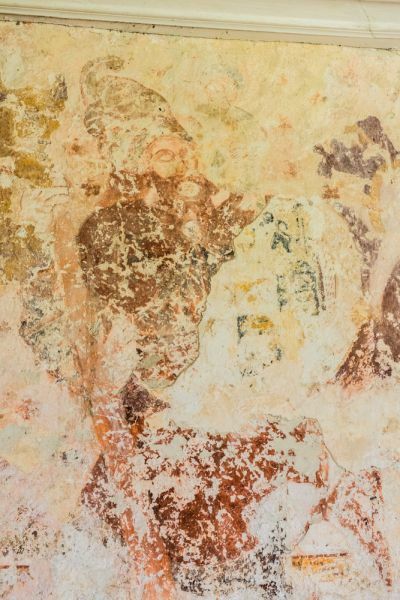 Several medieval wall paintings have survived. On the north wall is a large area that appears to be painted with layers of overlapping scenes. The oldest of these three layers appears to be late medieval - that is, likely of 15th-century date - and shows a figure of St Christopher. Figures of Christ and a unicorn can also be discerned amid the rather confusing mix, with bits of 17th-century Biblical text. Further wall paintings can be seen in the sanctuary, possibly as a continuation of the previous scene. 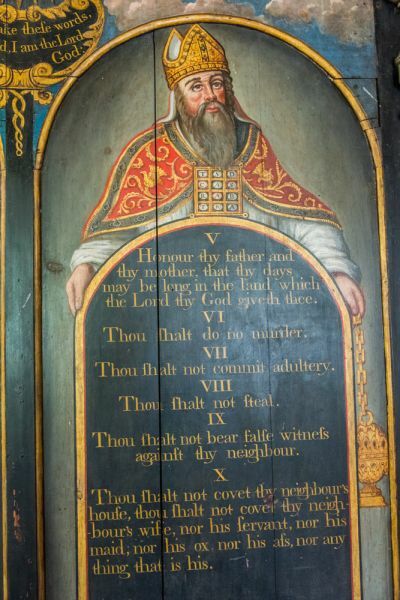 Above the wooden screen at the west end are a pair of hatchments and a royal coat of arms dated 1701. 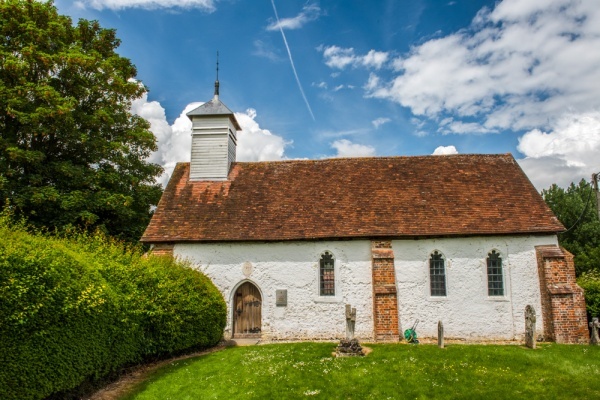 Historic documents suggest that the current church was built around 1268 by a nobleman named Wiliam of Chalgrave, who petitioned for permission to build a chapel on his estates at Freefolk on account of the difficulty in travelling to the nearest parish church in winter, due to local flooding. 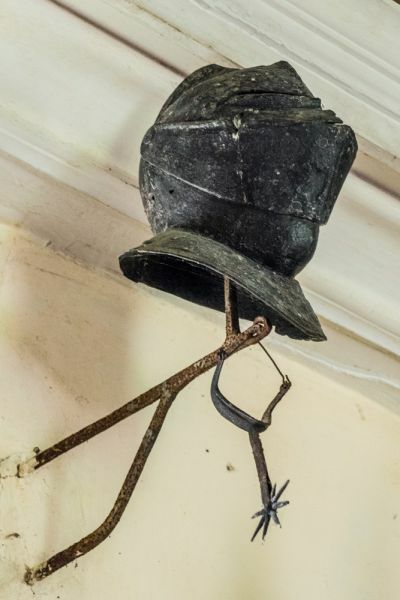 The church is no longer used for regular worship and is in the care of the Churches Conservation Trust. It is signposted off the B3400 in Laverstock, just east of Whitchurch. Curiously, though the church is signposted, there was no obvious place to park. I made up a parking spot on what appeared to be a construction area near the church. The church is rather oddly situated inside a high hedge. It was open when we visited and as far as we can determine it is always open daylight hours. 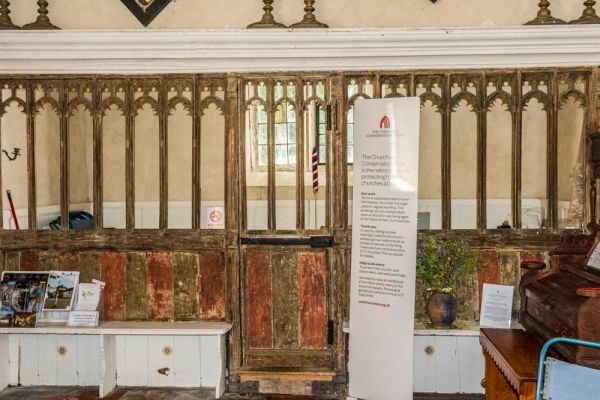 St Nicholas' church is a lovely historic building, and though small, it is full of interest. 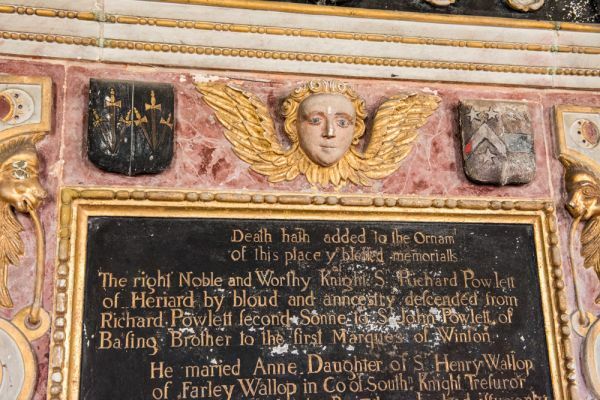 The Prowlett memorial is a work of art, and the wall paintings add to the interest. I loved visiting the church and highly recommend it. Don't miss the picturesque almshouses on the B3400, a short walk from the church. The almshouses were built in 1938 by the Portal Estate for workers at their nearby paper mill. They are under the longest thatched roof in England, a quite remarkable piece of architecture.